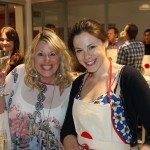 Team Tactics are the longest established corporate cooking events company in London! 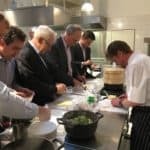 We aren’t an actual cookery school – instead we give a different slant on cooking; our corporate cooking events are designed to be sociable and fun for the corporate client. 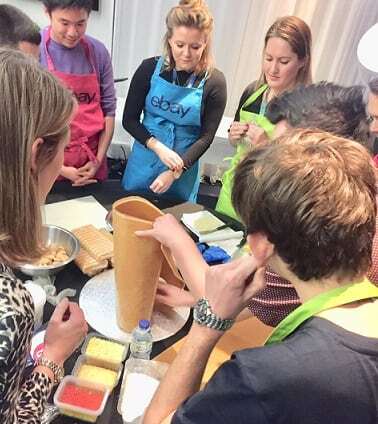 Our Corporate Cooking Challenges we have created come with a difference! 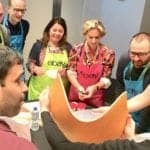 We have three options that offer something slightly different either the Corporate Cooking Challenge, Around the World or Mystery Box Challenge for numbers of 12 – 180 persons. 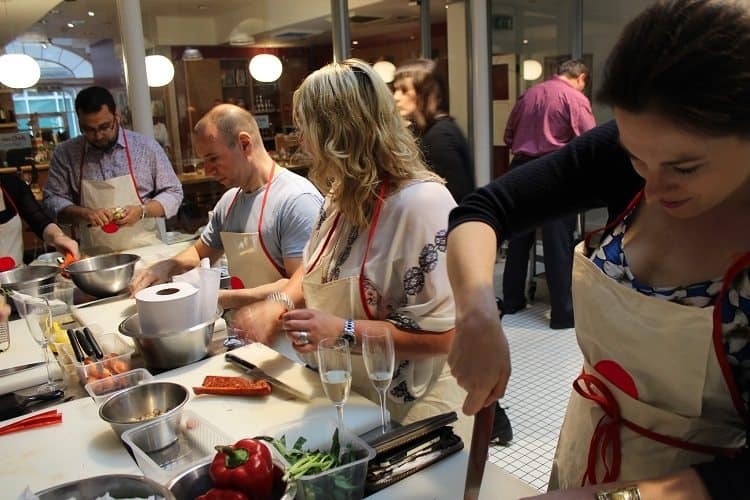 If you’re looking for a fun team building event, or you are looking to entertain key clients with the opportunity to learn some new skills, then our corporate cooking events are perfect! 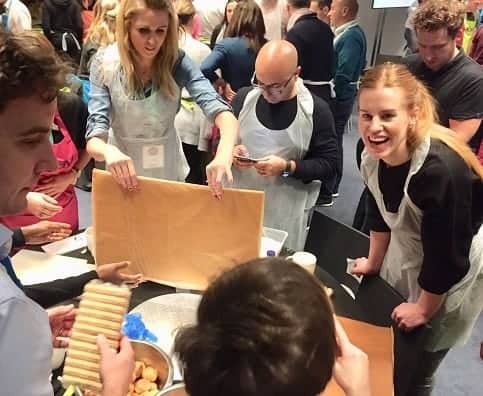 Participants will learn new skills, develop confidence and creativity whilst team work is always strongly encouraged. 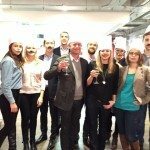 We can also add a competitive element in a friendly environment in our central London location. All prices are per person and exclude VAT. 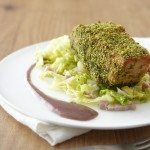 The challenge is to create a delicious three course meal using plenty of creativity and flair! 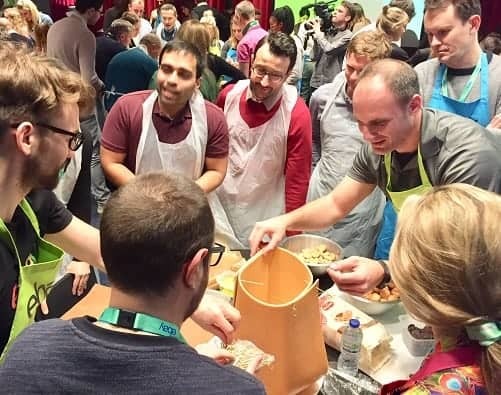 Your group will be split into teams (we aim for 4-6 person in each team) and each given a basket of ingredients from which they must produce each course. 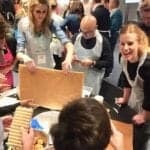 Although working with the same base ingredients, the teams must put their own creative spin on the courses, with our chefs judging the teams on teamwork, creativity, presentation, and preparation work. 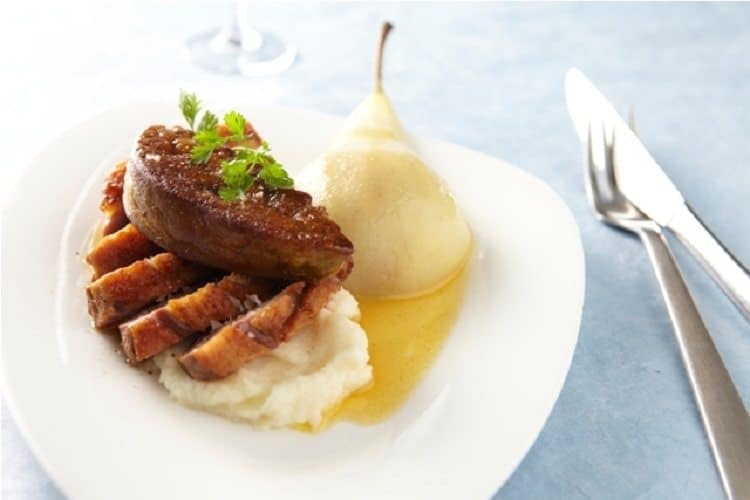 All participants will cook a starter, main and pudding and be seated for up to 24 guests. For slightly bigger groups, as one team cooks the course for the whole group, the other teams will take part in a Team Taste Challenge. 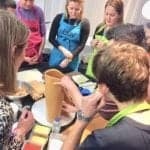 Our entertaining Team Taste challenge includes a fun quiz, spice identification, egg white sprint and food Pictionary. This adds a fun, dinner party atmosphere to your event – perfect for your celebrations! A bottle of Champagne will be awarded for the winning team! 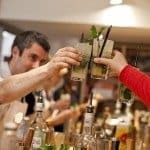 As optional extras we can include cocktail making masterclass, elevated ingredients and premium wines for the more discerning of clients with bigger budgets! 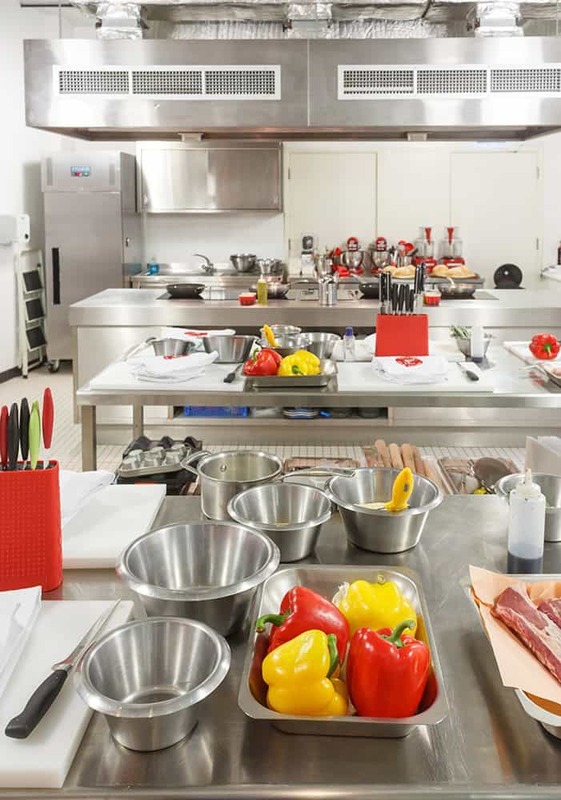 Our Around The World cooking experience offers guests the opportunity to cook with several flavours from around the world. with flavours from around the world. There are several menu options inspired by authentic international recipes. Options include delicious British, Italian, French and Pasta feasts served as a traditional 3 course meal. 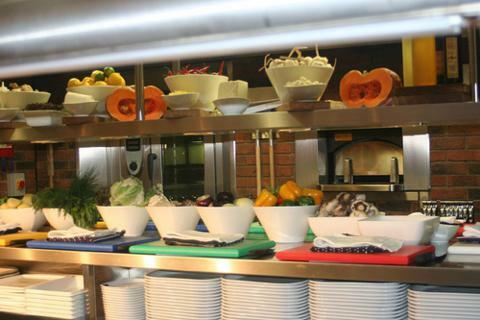 We also offer a selection of menus with a platter style serving such as, Moroccan, Sushi Master Class, Thai, Asian Street Food, Indian and Tapas. These are served as a feast for the whole group to share on platters. 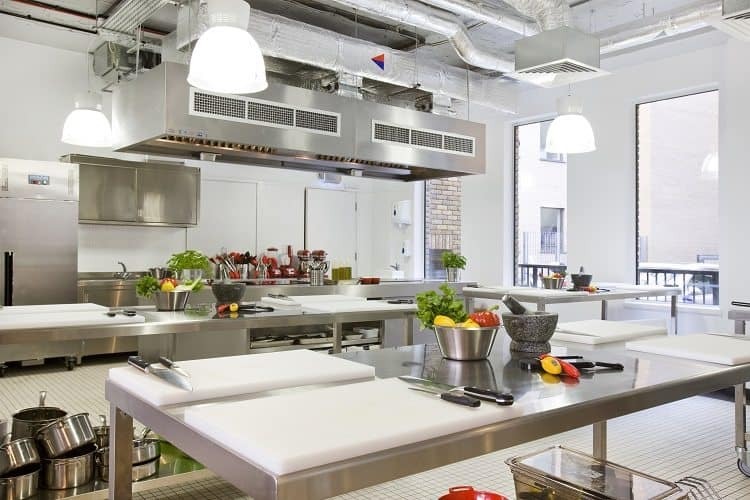 As with the Corporate Cooking Challenge a bottle of Champagne will be awarded for the winning team demonstrating a natural flare in the kitchen! 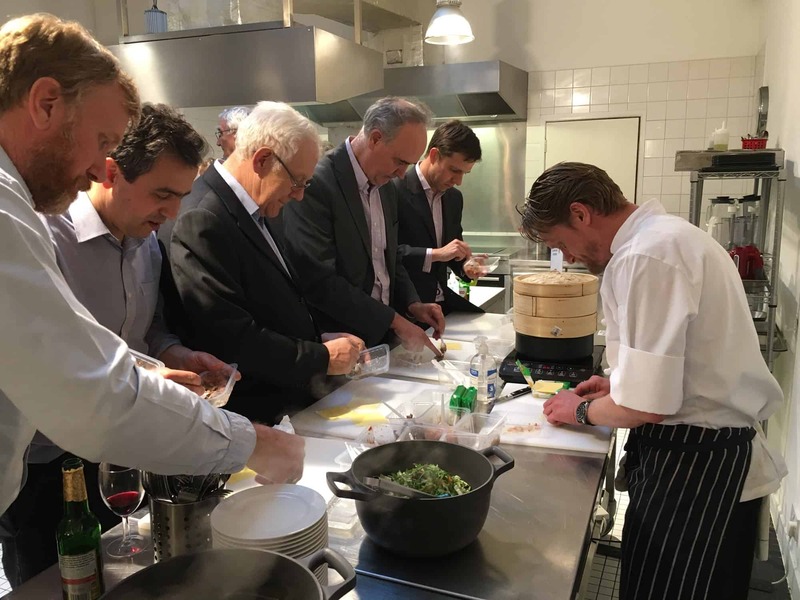 Our Master Apprentice challenge adds extra spice to our regular corporate cookery challenge as each team must negotiate and buy all the ingredients themselves – or else arrive at their kitchen to find an empty pantry! 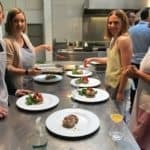 Starting from a predetermined location in Central London, each team is provided with money and a full list of the ingredients they will require for their cookery challenge. They must scout the city streets using negotiation and time management skills to find and purchase the required items before they proceed to our kitchens, where they will work together to prepare a fantastic feast. 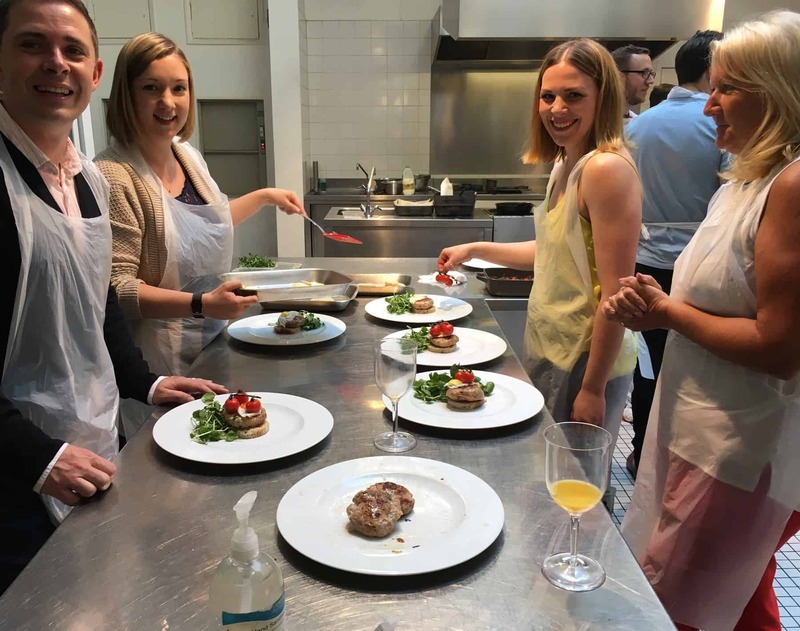 The food finding element of our corporate cooking challenge is the perfect way to add an extra dimension to your cooking challenge experience whilst working up an appetite. 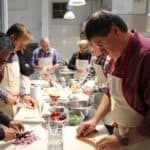 Our fun and unique Master Apprentice Challenge is perfect for an extended team day out. .
Find and Cook Challenge is available for 12-90 people with excellent options for you, contact us for further information. 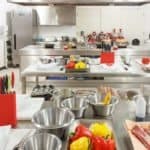 The Mystery Box Challenge is designed with a competitive edge to create a unique corporate cooking experience. 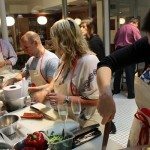 Groups will be split into teams and will be provided with their very own dedicated chef per team. 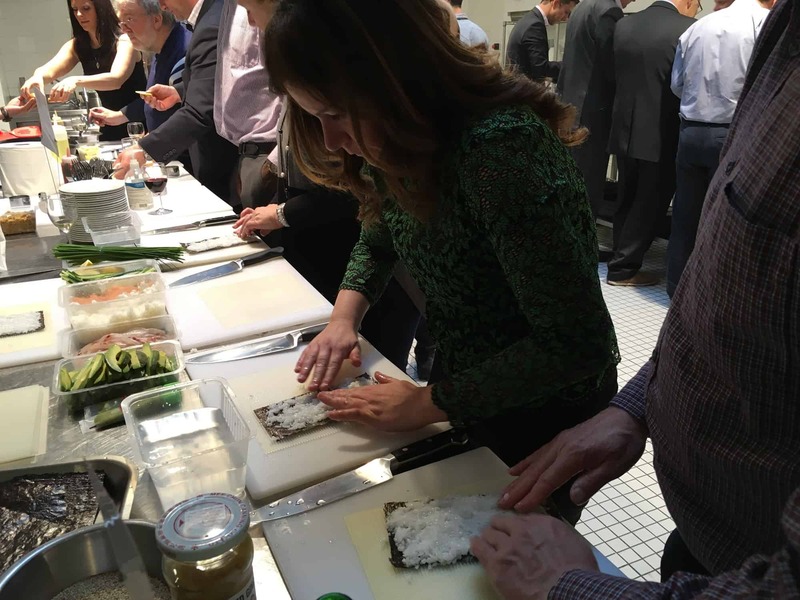 This corporate cooking option requires teams to think outside the box (excuse the pun) and work together to create dishes for the whole group to enjoy. A mystery box of ingredients will be given to each team where the teams communication and imagination will be put to the test. 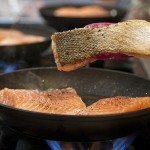 Work together to create culinary masterpieces with some assistance from your chef and utilize all of your mystery ingredients to create the perfect dishes. 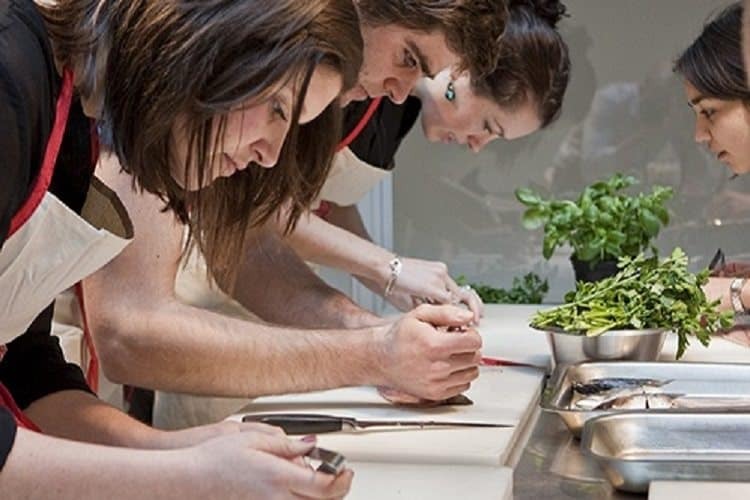 The aim is to research, plan, cook, name and serve tasty dishes for the whole group in an allocated time. 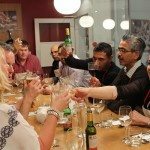 But more importantly to enjoy a fun and unique team event! 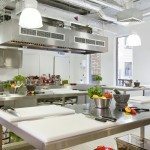 Each team will design and create a course with the guidance from the professional chef and after 90 minutes of hands-on cooking the group will get to sit down and enjoy their very own mouth-watering dishes. 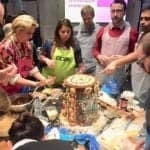 At the end of the interactive experience the team with the winning flavour combinations and the best creations will win a bottle of Prosecco! Is your team up for the challenge? Choose from a number of cuisines from across the world including Asian, Indian, Moroccan and British to create mouthwatering dishes. It is biscuit week this week in our central London kitchens! 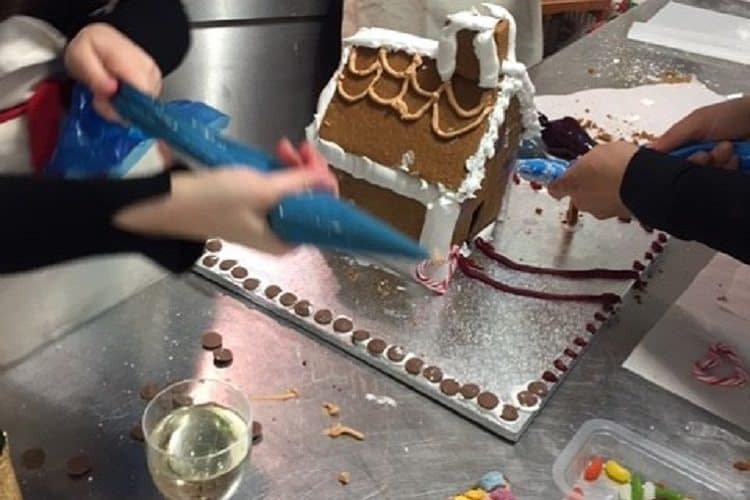 As fans of the classic GBBO will know, this challenge is for the bakers to show off their skills and talent. The judges favour a bake that is both of a professional appearance but is also outstanding in taste. This is now your turn to take part in a London landmarks edition to the showstopper challenge. 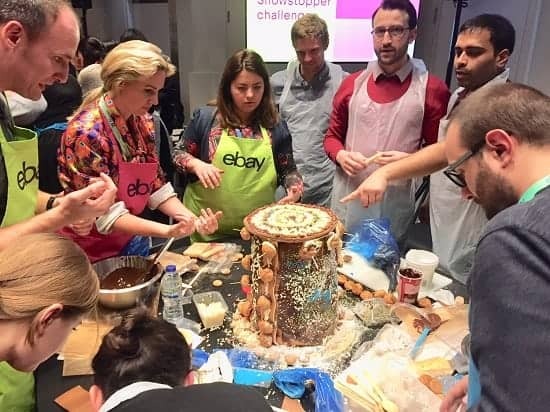 In this exciting 3 hour team building event we will uncover the star bakers of the group and those that will want to avoid a ‘Soggy Bottom’. 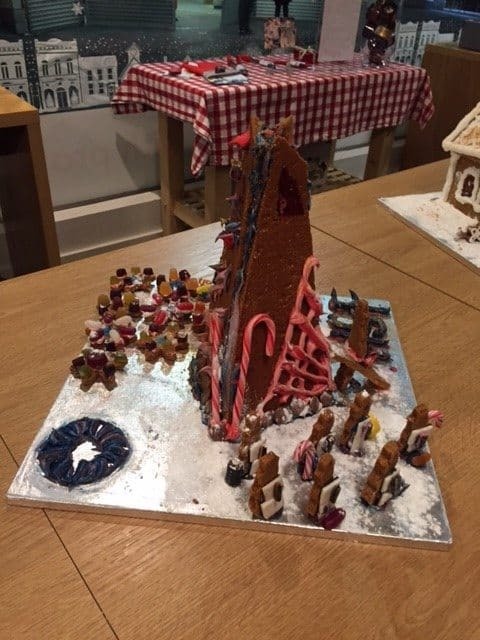 Teams will be tasked with baking and designing a 3D biscuit shaped based on a favourite landmark of their choice. 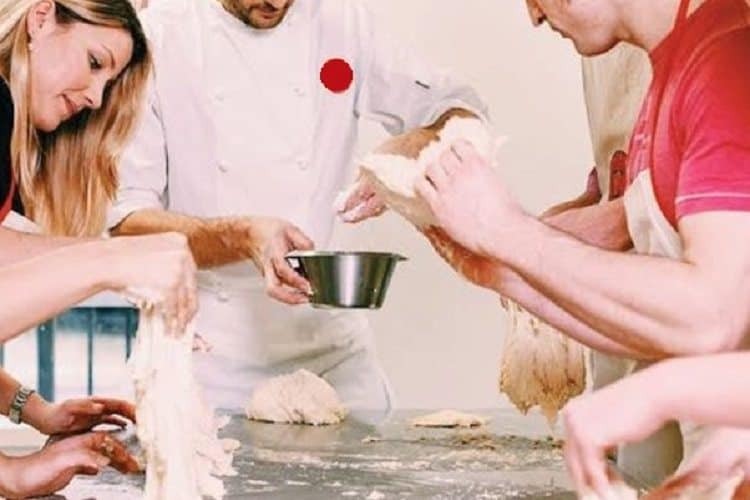 Our professional chefs will be on hand to guide teams through the biscuit baking process before letting your creative juices flow. It is now up to the teams to start the building process…. 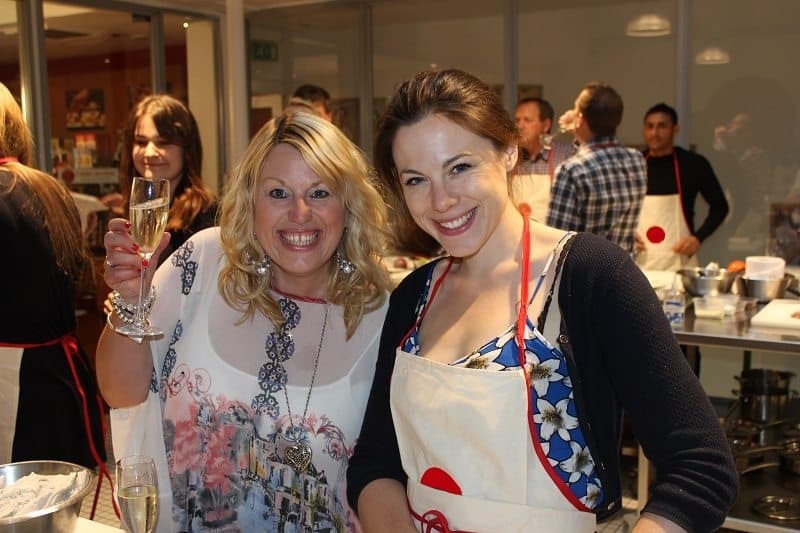 A Cook, Eat and Run treasure hunt is the perfect way start your treasure hunt with a bang. 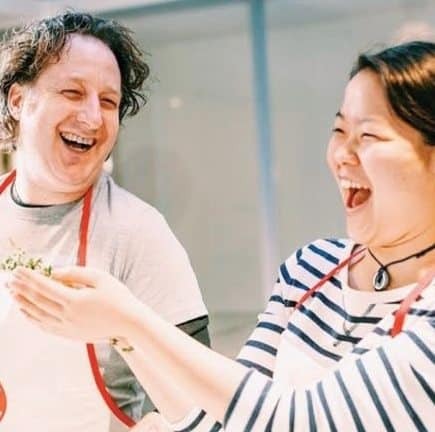 A quick-fire cooking experience with our professional chefs is the perfect way to get the banter flowing between teams and after surprising yourself with your culinary skills, you will be all the hungrier for your treasure hunt challenge! Arrive with us anytime between 09.00-10.00am. 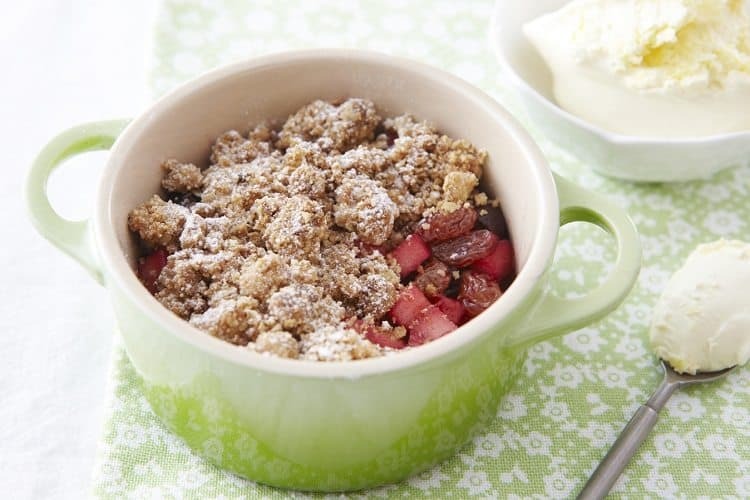 Welcome teas and coffees on arrival, then it’s time to cook your breakfast. Treats include Superfood smoothies, additional fruit juices and water, sausage and quail’s egg on sourdough toast with roast tomatoes & American pancakes with maple syrup. After we’ve set you up for the morning, it’s time to enjoy the rest of the morning along the ancient London Landmarks. Total event time – approx 4 hours. 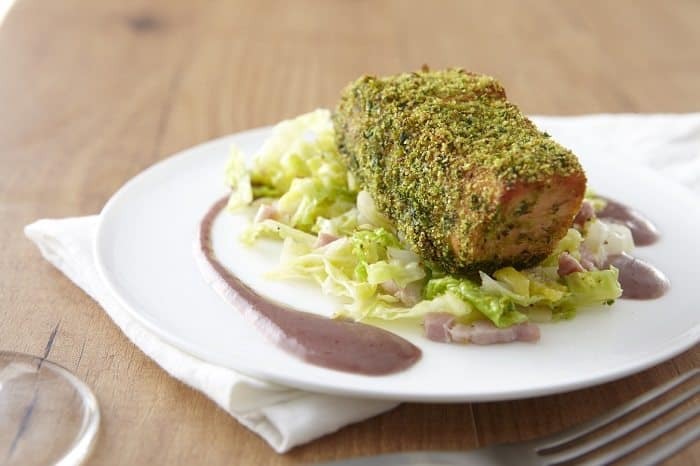 This is subject to availability and you will arrive at 11.30am for a prosecco reception and nibbles on arrival before creating a delicious main course for yourself and a glass of wine. Participants will then enjoy a mouthwatering desert prepared by the professional chef before coffee. 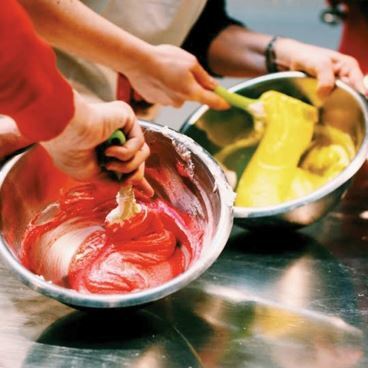 An adaptation of the BBC Bake Off, teams will create their own cakes and chocolates with and without direction, it’s all part of the fun! Within the 2 hour timeframe, everyone will finally sit down, with a glass of champagne, team and juices and tuck into their tea time treats! Our fun GPS Hunt can be run prior or post your Bake off Experience. A medal for each member of the winning team. Thank you very much for organising today’s event for my team. We had a great time completing the corporate challenge and this was exactly what we were after. The chef and those helping today were amazing. If you could please give them this feedback I would really appreciate it. I will be recommending your firm to friends and colleagues looking for something similar. It was a great day and all the team thoroughly enjoyed it. Venue was excellent, food amazing and the chef and staff very good. I really couldn’t fault it, thank you. The event went very well. The staff at the professional kitchen were helpful, informative ad made sure our event passed smoothly. Really good team activity. Well organised and great food. I will definitely recommend to other teams in the company. 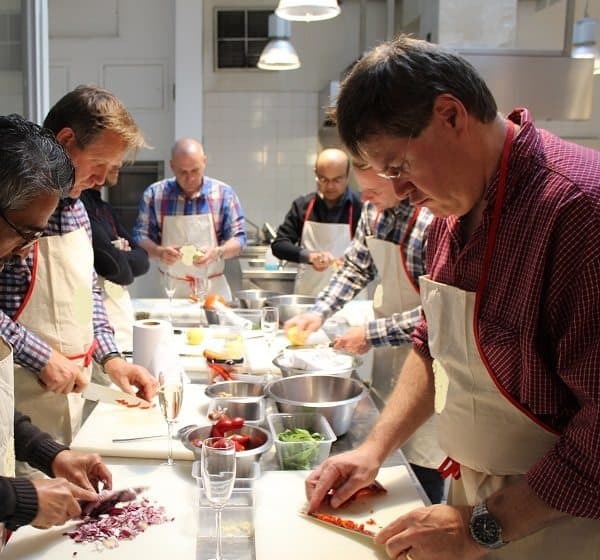 It was a really excellent team building exercise, we all had a lot of fun and cooked some really tasty food. Thanks again for the brilliant organisation. I would recommend this to anyone and everyone. We had a lovely time, the chef was great and food was delicious. 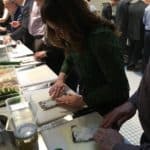 The event was absolutely amazing you have great staff who kept the energy up, the Chefs were so much fun and made the experience so much better. The venue was ideal and the we loved the menu. 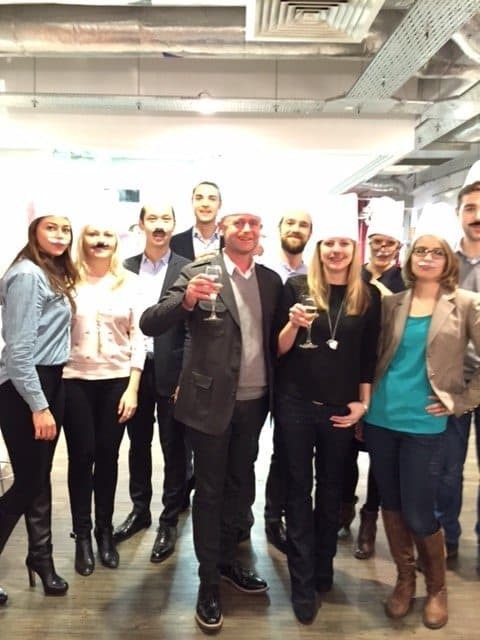 There was so much positive feedback from the entire team – everyone loved it. We wanted a very relaxed and fun environment for the team and that’s exactly what we got. The timings were fine and it didn’t feel like anything was taking too long we had just the right amount of time. Thank you so much – we will definitely use your services again there’s a couple of activities I have my eye on for later next year. Thanks a lot for the awesome team event Corporate Cooking on April 25th. It was a huge hit and so much fun! Really appreciated! We all had a lovely day and everyone there was very friendly. Making the day very enjoyable! Everyone truly enjoyed themselves, they learned something new, the food was delicious and people got to know each other a little better. I would recommend Team Tactics highly – they were efficient, friendly and helpful. The team had a fantastic time last night. Thanks so much for your help in getting this arranged at such short notice. It was a perfect evening. The team there were excellent and kept us entertained. And the food was fab. Last night was awesome ! thank you so much for finding us the venue, I can definitely recommend them. Everyone enjoyed it and participated. 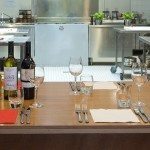 The venue were very organised and the evening flowed, the kitchen staff were amazing and very patient, instructions were clear. We even had a Christmas hat each as well as apron’s. Thank you so much for everything! You have been great to work with and will definitely be putting you forward if anymore similar like this come up. The event was extremely well received by all my staff, even those who don’t like “Team Building” as a rule. 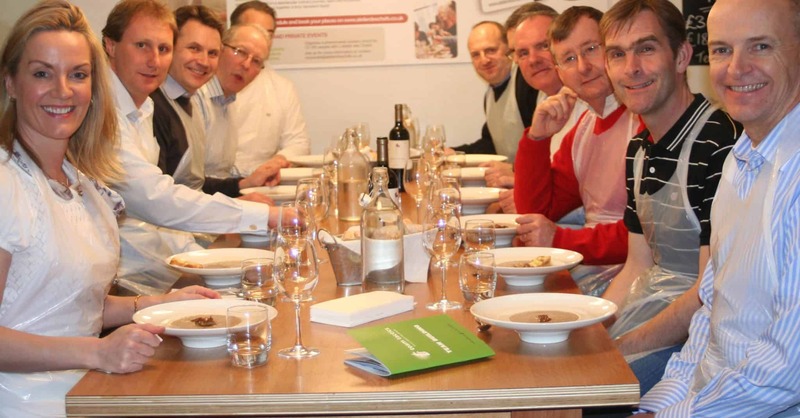 The teams were well split and the cooking / wine tasting was really well organised and ran smoothly through the evening. The prizes given were also really good and most were pleased to receive something other than a bottle of fizz. 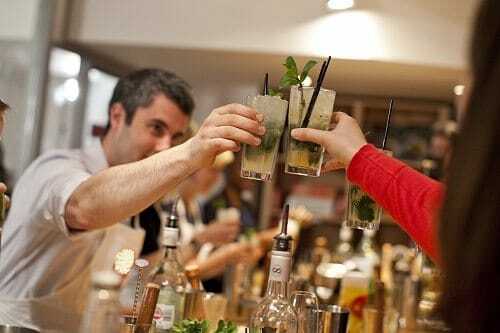 The staff at the venue were attentive and extremely accommodating, I think we drank more than they anticipated and we didn’t leave until gone 9pm. All the chefs were lovely and extremely patient. Would highly recommend to anyone for an event, and as always thanks to Team Tactics and Melissa for a wonderful event, I am looking forward to Christmas. Thank you for the great hospitality. They chefs and everyone on the day were brilliant. Team loved it. This was a great success and a well- chosen option. VERY well done !!! It was fun and above all that was the key element. John and his team were great hosts and the whole thing relaxed and “unthreatening” and as well as fun we learnt much and practiced some new skills. The outcomes were very tasty and EVERYONE was effusive of a great day. We had a great time, thank you – I'm busy recommending you to colleagues! We had a really good time cooking the street food. Everybody participated, people were getting really competitive, trying to get as many gold stars as possible reaching a high when we did the pancake flipping contest. It was just a bit crowded around the cooking stations maybe but that made it also very cosy and a bonding experience. The group really started to mingle. 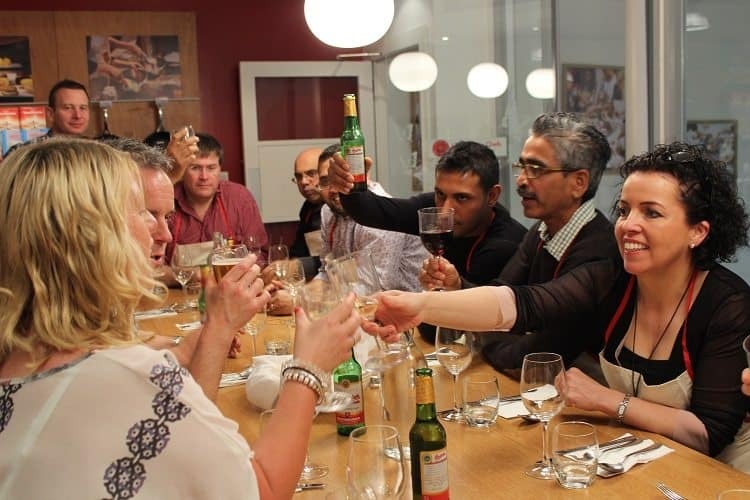 Our Excom thoroughly enjoyed their evening! 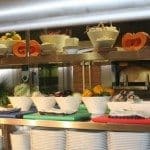 More specifically the availability of staff, the chef’s charisma and of course the food they prepared throughout the evening. The evening was a great success and everyone really enjoyed it. Your crew were very friendly and made everyone feel very comfortable. The food was superb and cooked surprisingly well! 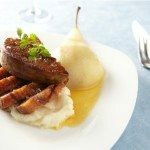 If you could send through to me the recipes I'll forward on the rest of my party as I for one would like to recreate the meal at home. I will definitely be in touch when we are next planning another team get together. This event was a huge success and thoroughly enjoyed by all. One aim was for our employees to mix with colleagues they wouldn't normally have much contact with and this was certainly achieved during the corporate cook off, which had a practical as well as a social aspect. Its always difficult trying to pick an event that everyone is going to like particularly when it’s a little outside of their comfort zone, it’s the reason I picked it in truth. Getting people to express themselves in a learning environment is always a good exercise, and as I say this event worked a treat. The host “Greg” was helpful and made us feel at home. The chef was very good and helped us improve our cooking skills. The facilities were adequate, clean tidy and everything we needed. 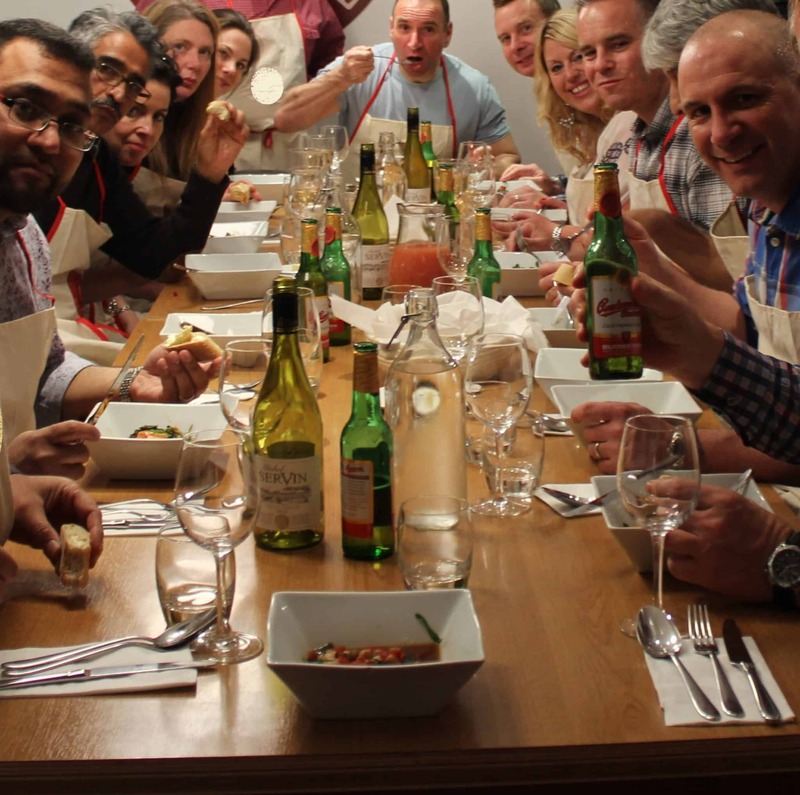 Every member of the team really enjoyed it and it was a great way to socialise and build the team. The venue was excellent (clean, bright and spacious) and I would definitely recommend it to colleagues and friends. A big 'THANK YOU' to Keighley Tina, Hellen and the rest of the team for putting on a wonderful evening for us – we were extremely well looked after throughout the process, nor was anything too much trouble on the day! Thank you again Team Tactics! Cooking went very well thank you. Very good fun and we did not poison each other! Tina was great – high levels of service and support. The event very much exceeded our expectations. 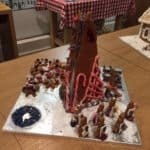 I was pleased that it had less structure than I anticipated, which meant that people were able to mingle and socialise which was really our top priority. 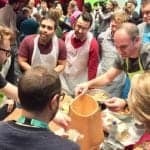 I thought the Chefs did a very good job, not only of handling the crowd but encouraging participation and competition. Overall it was a brilliant night, and everybody was very pleased to have attended. Excellent event. Second event with Team Tactics and a great success every time. Will come back time and time again. 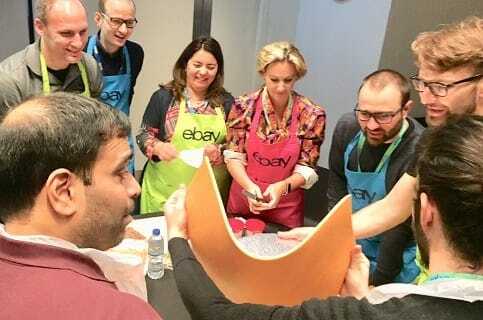 Thank you for an excellent team event, we all had an excellent time and the team spirit was high! A special thank you to the professional chefs, they were great! I will definitely use team tactics again for our next event. It was a really good evening – I’ve had lots of positive feedback from people who came along. Everything ran smoothly, needs were catered for and the event was really enjoyable. Thanks! We had an excellent lunchtime ‘cook off’ session – our welcome was warm and relaxed, our chef was focussed but fun and we definitely both learnt some new skills and came away feeling inspired to do more cooking at home. It was a perfect event for our team and I would certainly recommend the experience to others. The event went off very well. Fun was had by all. The day was really well run by our host and the chefs. I also thought it was great how the veggies were accommodated for at each of the sections, even when the main ingredient was meat or fish. The venue was easy to find and our bus was able to park outside for the whole afternoon, which was great because we finished slightly earlier. And the cherry on top of the cake was my team won!! Thanks for all your efforts and the team at Team Tactics.